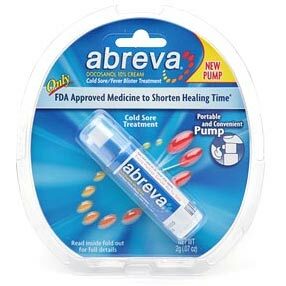 Abreva has been recommended by doctors for the treatment of cold sores ever since it was approved by the FDA in 2000. But can Abreva also be used to treat angular cheilitis Learn how to treat angular cheilitis.? Many websites, blogs, forums, and online discussion groups claim that Abreva does indeed cure angular cheilitis Learn how to cure angular cheilitis.. Although, under further review we have found that in nearly all the cases where an individual claimed that Abreva did cure their angular cheilitis, that the individual had misdiagnosed their cold sores for angular cheilitis. This means that Abreva will not treat angular cheilitis Learn how to treat angular cheilitis.. In fact, it can actually further irritate angular cheilitis. It is very easy to misdiagnose cold sores as angular cheilitis Learn how to tell the difference between cold sores and angular cheilitis.. Although angular cheilitis only affects your mouth corners, it is possible to get a cold sore in your mouth corner which can make it appear to be angular cheilitis. We have found that this is what happened in most of the cases where people claimed that Abreva cured their angular cheilitis. You can see in the picture below how a cold sore in the right spot can look very similar to angular cheilitis to the untrained eye. However, if you look closely you will notice that cold sores involve blisters while angular cheilitis turns into a cracked mouth corner. For more tips on how to tell the difference between cold sores and angular cheilitis, please visit our Angular Cheilitis vs Cold Sores page. Angular Cheilitis Antibiotics See whether or not angular cheilitis can be treated and cured with antibiotics.